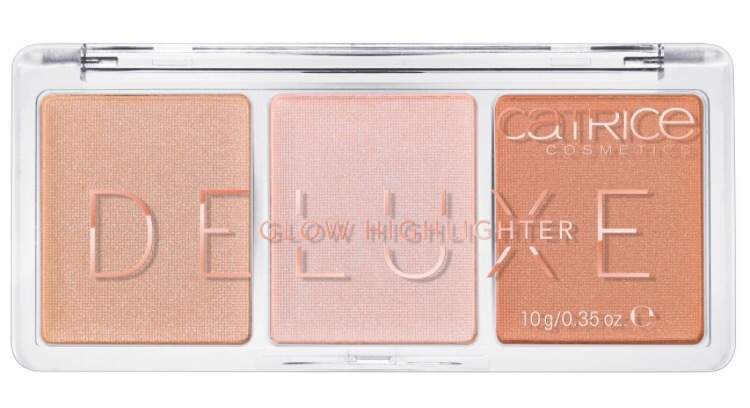 Get a healthy natural-looking glow with the 3-in-1 Deluxe Glow Highlighter! This three-piece kit offers varying shades in champagne, rosé and bronze for a natural, radiant finish. The ultra-soft powder is infused with fine shimmer particles as well as Vitamin E and Jojoba Oil to gently catch the light and illuminate the complexion. The palette is the perfect size to take in your handbag for touch ups on the go. Available from Penneys and Pharmacies.